BMW will continue to roll out exciting new models during 2018. Expect to see more M and X models, while the smaller coupes and sedans get culled out a bit. The F90 M5 was featured in the last issue of Zundfolge. We should see this sixth generation M5 in spring 2018. The base price will be $102,600 plus $995 destination and handling fee. In November, BMW announced the first-ever BMW M3 CS, a special-edition model. The extensive use of carbon fiber-reinforced plastic (CFRP), has kept the first-ever BMW M3 CS extremely light; around 110 lb less than a standard M3. Large sections of the body are also made from CFRP, including the hood, which is around 25 percent lighter than that of the regular BMW M3. The CFRP roof alone is more than 13 pounds lighter than a conventional steel version. These changes lower the car’s center of gravity to improve handling. The back of the vehicle features a redesigned “Gurney Flap” in exposed carbon fiber. This aerodynamic spoiler lip running across the trailing edge of the trunk lid significantly reduces rear-axle lift. In the interests of everyday practicality, the M3 CS forgoes a roll cage. 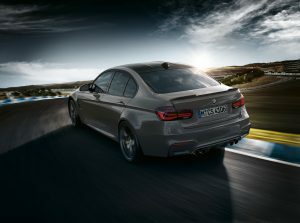 The M3 CS will be powered by M TwinPower Turbo technology 6-cylinder inline engine. Fitted in the M3 CS it develops 453 hp at 6250 rpm (+28 hp) and peak torque 443 lb-ft from 4000 to 5380 rpm (+37 lb-ft). Orders for the first-ever 2018 BMW M3 CS can be placed starting May, 2018. Production of the high-performance sedan will be limited to approximately 1,200 units worldwide; with approximately 550 units coming to the U.S. Pricing will be announced closer to market launch. Of course, there will also be an M4 CS. The niche here is between the bonkers M4 GTS and the M4 Competition package model. 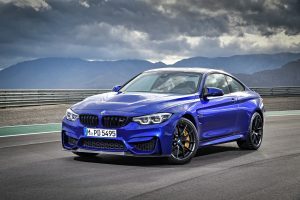 The M4 CS is said to have ten more horsepower than the M4 Comp pack but not the water injection of the M4 GTS, which has 39 more horsepower than the CS. Expect pricing around $125,000. Not to be left out, BMW M will continue with the CS variants in an effort to access every corner of BMW M fans’ wallets and leave no niche unexplored. The M2 CS is supposed to crank up the horsepower to 405 (an increase of 40) and also lower the weight slightly while raising the price, of course. No word yet on timing. The BMW X2 will be the sportier version of the X1. The bold, uncompromising nature of the first-ever BMW X2 is evident at first sight and stands out from the crowd in any setting. Even next to its bigger brothers, the BMW X4 and BMW X6, the BMW X2 makes a distinctive impression with its unique design language. The main contributing factor is the car’s exterior design, which essentially combines the fast-moving body language and low-slung proportions of a coupe with the robust construction of a BMW X model. 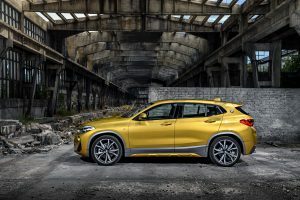 “The BMW X2 represents an expression of modern and extrovert vehicle dynamics,” says Adrian van Hooydonk, Senior Vice President BMW Group Design, in describing the first-ever BMW X2. “Its standalone vehicle concept brings a new, fresh and exciting facet of the BMW to the compact segment.” The first-ever 2018 BMW X2 will be available in spring 2018 with pricing to be announced closer to market launch. Note the roundel on the D-pillar, similar to the E9 coupes. 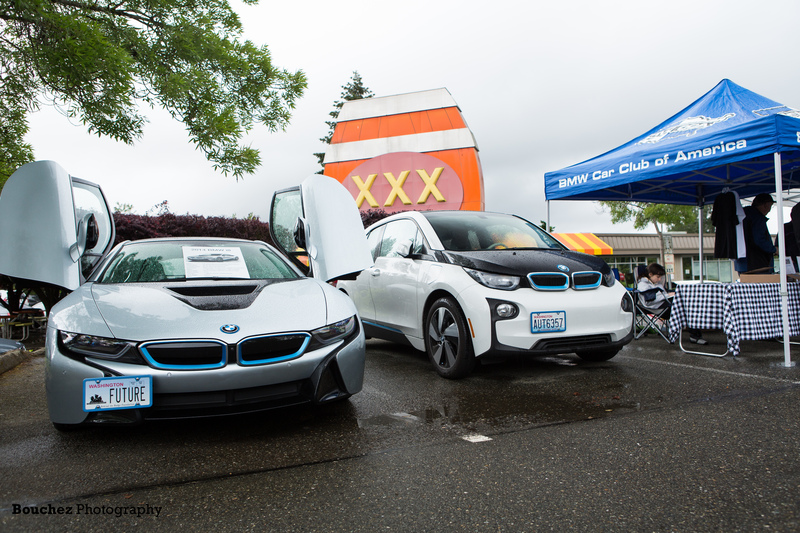 The new X3 was just introduced in November 2017 and we’ve already seen what an X3 M Performance model can do. The X3 M40i is an amazing vehicle. Now BMW is going to give the X3 the full M-model treatment. Timing is uncertain but probably during 2018. 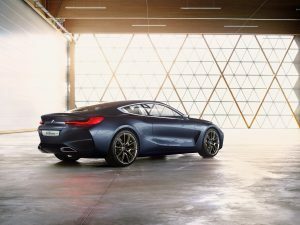 We should see the 8 Series coupe debut in summer 2018. While there aren’t any official production photos yet, expect a beautiful car at an eye-watering price. Convertible and Gran Coupe models will follow in 2019. We’ll first see the 840i and 850i models. The M8 should be available soon after. The 8 Series shouldn’t change much from the Concept shown here. The new Z4 roadster will probably be available by the end of 2018 as a 2019 model. Pricing is expected to start at about $50,000 and go up quickly with options. There will be the usual engine and transmission options. BMW says there will be no M version but they always say that since they want to sell what they’ve got on offer. 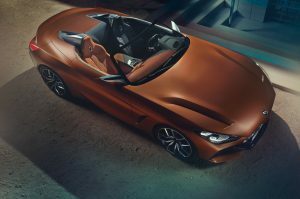 The best news is that the styling is supposed to be about 80% true to the Concept Z4 introduced at Pebble Beach last August. 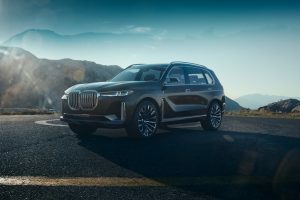 BMW has shown the Concept X7 iPerformance and called it a new dimension in spaciousness. The production X7 will be built in Spartanburg and be the King Kong of the X family, including the biggest kidney grills in captivity. This enormous vehicle is being touted as “A case study in modernity, luxury and presence.” This thing is going way up-market will save those for who an X5 just isn’t big enough and a Suburban is just too déclassé. We should see the production X7 photos during 2018 but you probably won’t be able to buy one until 2019.